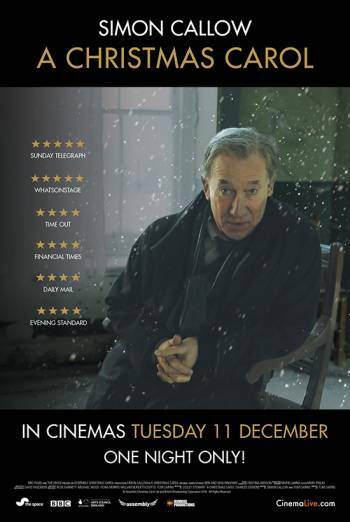 Summary A CHRISTMAS CAROL is a one-man retelling of Dickens's classic story, performed by Simon Callow. A CHRISTMAS CAROL is a one-man retelling of Dickens's classic story, performed by Simon Callow. There are mildly spooky descriptions of encounters with ghosts, accompanied by sound effects of whispers, echoing bells or chains being dragged up the stairs. Other issues include brief references to poverty and homelessness.